The holiday house in Siena Villa Agostoli is waiting for you in any season of the year for a holiday with your partner or for a relaxing vacation in Tuscany together with family and friends. Booking a stay at the holiday house Villa Agostoli in Siena will allow you to discover all the wonders of this magical city in Tuscany with absolute peace of mind, and in the evening you will be able to rest in a peaceful place, surrounded by a beautiful natural environment. Getting to the holiday house in Siena Villa Agostoli is very easy. For those arriving by car just take the Siena Ovest exit of the Siena-Florence motorway and go ahead for 1.5 Km. Those arriving by train instead can reach the hotel from the station of Siena only 7 Km away. Why choose Villa Agostoli for a holiday in Siena? Because, from the point of view of geography and logistics, Villa Agostoli is as close to Siena like Fiesole is close to Florence. The sunny location in which the property is located allows all guests to access within minutes to the city center, but also to admire the beautiful landscapes without equals in the world. To put it another way, staying at Villa Agostoli allows to admire the beauties of Siena during the day, and admire the beauties of the city even at night, thanks to the magnificent views that open up the horizon. But this is just an advantage… let’s find out all the others. All rooms of the complex are covered by WI-FI Internet. The structure admits small animals. The holiday house has a swimming pool with sun loungers and parasols. The complex is near shops and restaurants for shopping and nights out. On request you can ask for baskets for breakfast and cooking service. The complex includes several shaded areas for free car parking. The holiday houses of Villa Agostoli are self catering apartments and therefore all those who rent an accommodation will feel just like at home. What to do during a holiday in Siena? Piazza del Campo. With its unique shell-shape, Piazza del Campo is one of the most beautiful squares in the world and is the summer stage of the famous Palio that takes place every year during the days of July 2 (Palio di Provenzano) and August 16 (Palio dell’Assunta). Torre del Mangia. 88 meters tall, the third tallest tower in Italy. It dominates the Piazza del Campo from overlooking a centuries-old history. Duomo. 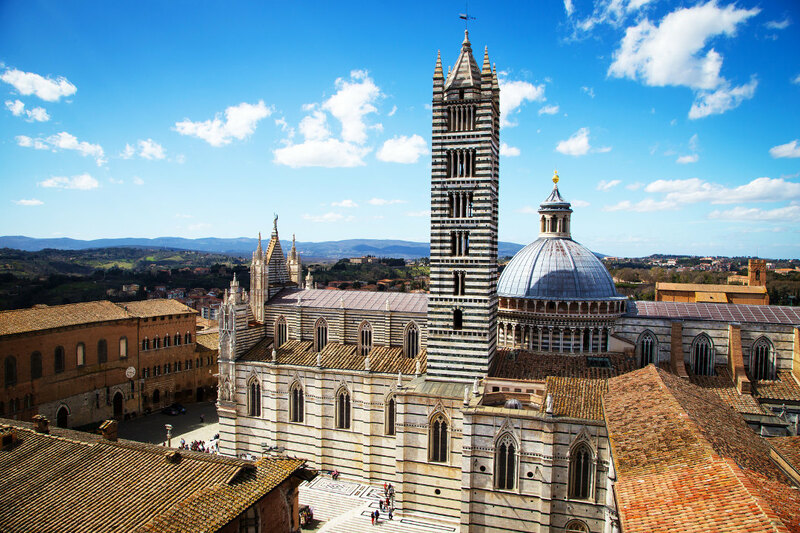 A magnificent cathedral in Romanesque-Gothic style, the cathedral of Siena is distinguished by a beautiful white marble facade whose beauty almost seems to be a prelude to the wonderful interiors of this place of worship. Palazzo Tolomei. Built at the beginning of 1200, Palazzo Tolomei is one of the oldest buildings of Siena and is located in front of another notable structure, the Church of St. Cristoforo. Those who want to taste some specialty of Siena should try the Panforte and Ricciarelli, famous sweets of the Christmas tradition. For a nice lunch or a tasty dinner we recommend instead of choosing from the menu one of the typical dishes of Siena such as the Pici Senesi, the gnudi, tagliatelle with hare sauce, salami of Cinta Senese, scottiglia and excellent sheep cheese of the Crete Senesi. Finally, those who want to get away from the city for a nice hike, admire the natural sights or some other beautiful towns in the province of Siena can choose between territories, spa resorts, World Heritage Sites and curious places. Territories: Chianti, Crete Senesi, Val d’Arbia, Val d’Elsa, Val d’Orcia. 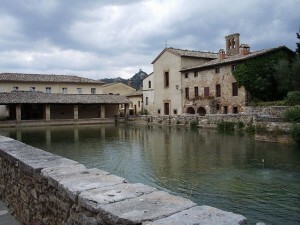 Spa Resorts: Bagno Vignoni, Montepulciano, Chianciano Terme, Rapolano Terme, Bagni San Filippo and San Casciano dei Bagni. World Heritage Sites: The historic towns of Siena, San Gimignano and Pienza, and the aforementioned territory of the Val d’Orcia. Curious places: The Sword in the Stone in San Galgano, the Mulino Bianco of the famous TV advertising in Chiusdino, the Ponte della Pia in Sovicille. 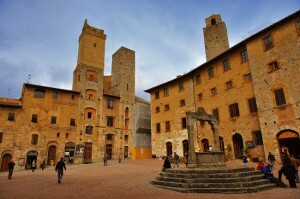 Spend a holiday in Siena in Tuscany and admire all the beauties of the city and the region. Do not miss the chance and book now a holiday house in Villa Agostoli!